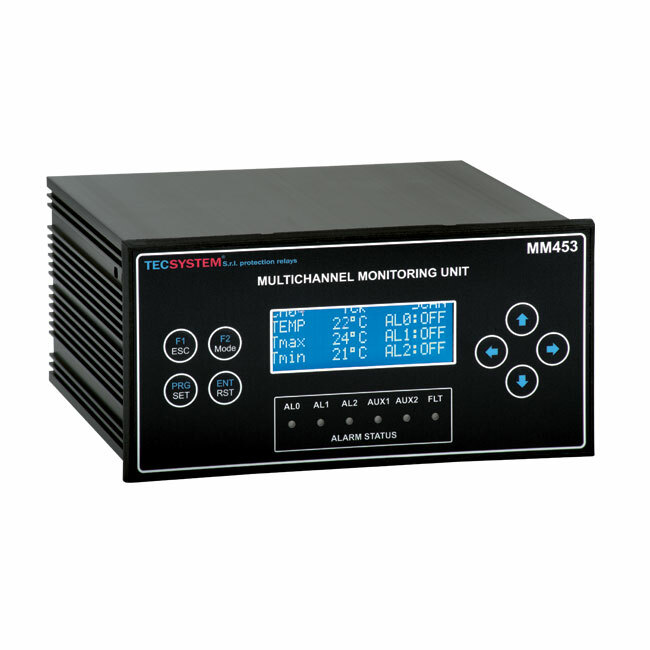 The MM453 temperature controller is designed primarily for controlling the temperature of diesel generators and biogas, but it is also commonly used for monitoring bearings, exhaust gas, lubricant and coolant. The 20-character, 4-line, wide alphanumeric LCD allows the operator to easily read the operating parameters and make adjustments. The highly configurable MM453 can be fitted with a maximum of 24 inputs for 24 different temperature measuring locations. Cards with 4 inputs can be added individually for the RTD Pt100 sensors, Pt1000 sensors and the TcK thermocouple depending on your sensor preference. You can also mix and match input cards to achieve your desired input sensor arrangement. All the input channels are protected from electromagnetic interference for consistent, reliable performance. The alarm and fault signals can be routed to two separate relay banks allowing for a variety of output configurations. The MM453 can also be fitted with a 4-20mA output and a RS485 Modbus RTU output.